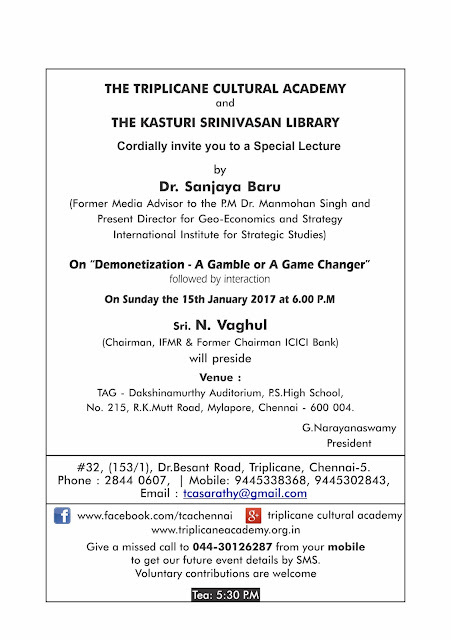 The lecture on "Demonetisation - Gamble or a Game Changer" to be delivered by Sri. 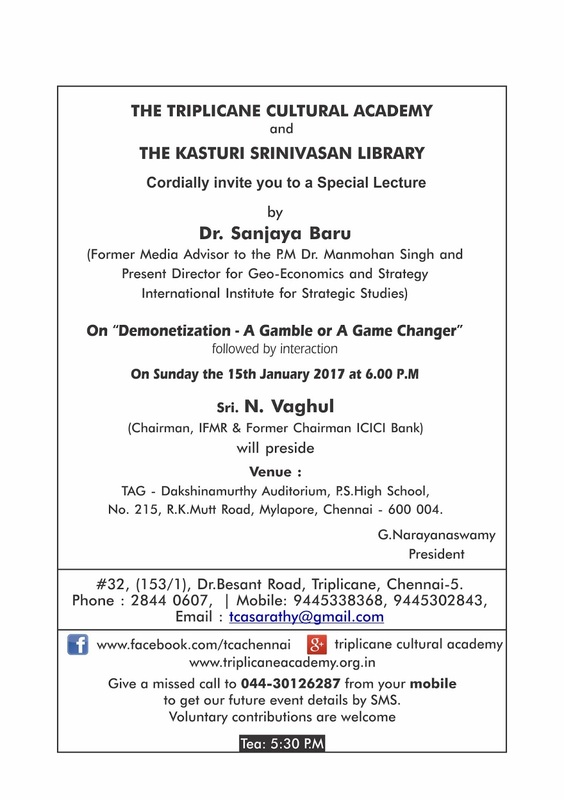 Sanjaya Baru, former Media Advisor to the then PM Dr. Manmohan Singh. Sri. Vaghul is presiding.